→What is Rifle In Wind River Movie? What is Rifle In Wind River Movie? As a gun-lover, I feel satisfied with the movie as there are scenes that rifles play an essential part. What is the gun in “Wind River”? Most of the answers that I have found for that question are about the Marlin Model 1895 SBL. Surprisingly, there is another type of rifle used in the film. Are you curious to know? Let’s discover together! What do you know about the Wind River Movie? Cory Lambert (Jeremy Renner), who is a wildlife officer, teams up with Jane Banner (Elizabeth Olsen). He is an FBI agent, trying his best to solve the mystery of an 18-year-old girl’s death. On its surface, the film looks like a typical thriller, but in fact, it draws our attention to the missing Native American women. What is The Rifle in "Wind River" Movie? 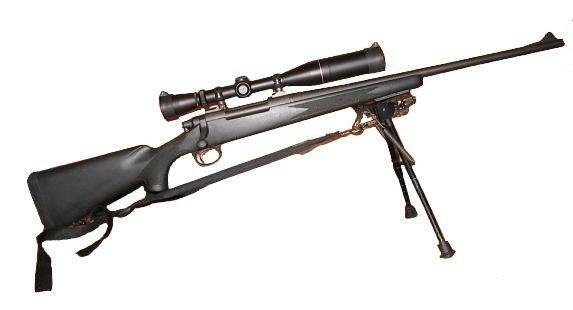 First, it is the Remington Model 700. What is good about this kind of rifle? It is the most accurate and the most popular in the market nowadays. It belongs to the series of bolt-action centerfire rifles produced by Remington Arms in 1962. The second rifle is the Marlin Model 1895SBL. This one is a lever-action rifle, and SBL stands for a stainless and big loop. Believe it or not? This rifle is the same one that Chris Pratt used in Jurassic World (2015). It is a popular choice among hunting-lovers thanks to its long-range shooting of over 200 yards. Model 1895 – 22”: American walnut stock with cut checkering. Model 1895G: American walnut stock with cut checkering and blued finish ventilated recoil pad. Model 1895GBL: while all the models above are four-shot tubular magazines, this one is a six-shot tubular magazine. This rifle also goes with a larger-loop finger. One more impressive thing is the way Cory Lambert carries the Marlin 1895SBL. He cradles the rifle while running through the snow. Do you know why? It is to maintain the balance as single-hand carrying on rough grounds will disrupt the balance and waste your energy. This is the reason why we have seen the main actor has to carry the gun with both arms. I guess Cory Lambert must have had a gun safety lesson for this movie. Now, let’s turn back a little bit to the movie. Personally speaking, it is a must-watch film. As far as I know, it’s now on Netflix, so I recommend this film to anyone who reads this article. What is rifle in Wind River movie? This article has given you a general answer to the question. Are you interested in purchasing one of them? I think I do. Yeah, especially the Marlin 1895SBL. And you will need a scope for the rifle, check out Scopes & Sights to choose one! Comment on the box below if you are still curious about these two guns.